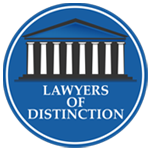 A criminal defense attorney’s primary objective is to either get the charges dismissed or get an acquittal. Unfortunately, this isn’t an option in every case, and despite your attorney’s best efforts, you are convicted of a crime. At that point, it’s critical to keep fighting to make sure you aren’t saddled with penalties you don’t deserve. 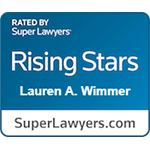 Criminal defense attorney Lauren Wimmer knows how to get the best possible sentence for her clients. She brings knowledge, experience, and passion to every case she handles, regardless of where in the process it may be. If you’re facing charges and are worried about the consequences of a conviction, call Wimmer Criminal Defense Law at 215-712-1212 or complete our online contact form in order to schedule a free consultation with Ms. Wimmer. While federal judges do hold a great deal of influence over the cases before them, it’s important to understand that they do not have carte blanche when it comes to deciding what prison sentence should be imposed. Instead, judges must decide upon a sentence within the structure of the federal sentencing guidelines. The conduct associated refers to the nature of the crime, such as whether it was violent or premeditated. 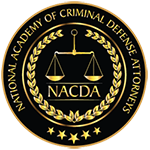 The nature of the crime determines which of the 43 different “offense levels” in the federal sentencing guidelines apply to your case. The offense level and your criminal history then determine the range or zone of your sentence. All of this is laid out in the sentencing table found in the federal sentencing guidelines. Thankfully, the federal sentencing guidelines do allow for certain adjustments and departures to either increase or decrease the sentence. An experienced federal sentencing attorney can help you identify which factors may entitle you to a more lenient sentence. 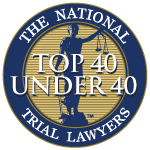 More importantly, you will need an attorney who knows which arguments are likely to persuade the court that these factors should be taken into account. The prosecutors will be arguing for the harshest possible sentence, so you need someone on your side. An experienced federal sentencing attorney will make sure the court considers all of the mitigating circumstances of your case when determining your sentence. The conduct of the victim. A reduction in your sentence may be appropriate if the victim of the crime provoked or encouraged you in some way. The crime was committed to avoid a greater harm. The court may reduce your sentence if you committed the crime in order to avoid a greater harm. However, the circumstances of the crime have to be such that it significantly reduces society’s interest in punishing your conduct. Coercion or distress. The court may impose a lighter sentence if coercion or duress led you to commit the crime, even though it doesn’t completely justify your actions. An example would be where you committed the crime because you were being blackmailed. Diminished capacity. The court can reduce our sentence if you were suffering from a mental health issue or some other mental impairment and it substantially contributed to the commission of the crime. However, the court may disregard your mental capacity if it was caused by the use of drugs or alcohol. The court may also not reduce your sentence if you committed a violent crime or have a criminal history that raises concerns about public safety. Voluntary disclosure. If you disclose a crime out of a feeling of remorse that would have otherwise remained undiscovered, the court may reduce your sentence. This is not an exhaustive list. There may be facts unique to your case that your attorney can use to help get you a fair sentence. That you participated in a “fast-track” program in which you tendered a guilty plea early in the prosecution. 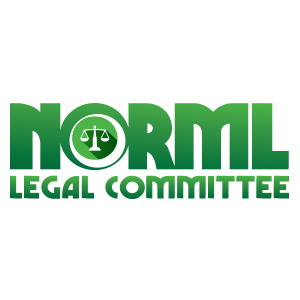 In order to qualify for either of these reductions, you would have to provide extensive cooperation with the prosecutors and other federal law enforcement agents. Unfortunately, not every jurisdiction has a “fast-track” program. In addition, you may agree to cooperate with prosecutors and incriminate yourself, only to later be told that your cooperation wasn’t “substantial.” Because you will be incriminating yourself, you should only agree to cooperate after an in-depth consultation with your attorney. Cooperating with federal law enforcement always carries serious risks, and you be sure that there aren’t better options available. The prosecution will use these factors to make your actions appear much more sinister or extreme than they really were in order to justify a harsher sentence. A skilled criminal defense attorney can rebut these arguments to ensure that you receive a fair sentence. 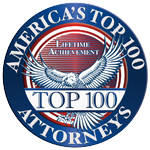 Philadelphia criminal defense attorney Lauren Wimmer understands that passionate legal representation doesn’t end once you’re convicted. If she can’t get the charges dismissed or achieve an acquittal, she fights to make sure her clients get a fair sentence. If you’re facing charges or have recently been convicted and need help, contact Wimmer Criminal Defense Law by calling 215-712-1212 in order to schedule a free consultation.